Day 14 of the 2010 Spring Championship of Online Poker at PokerStars was the last day leading up to Sunday's main events. Several players stood out on Day 14, none more than Gavin "gavz101" Cochrane. 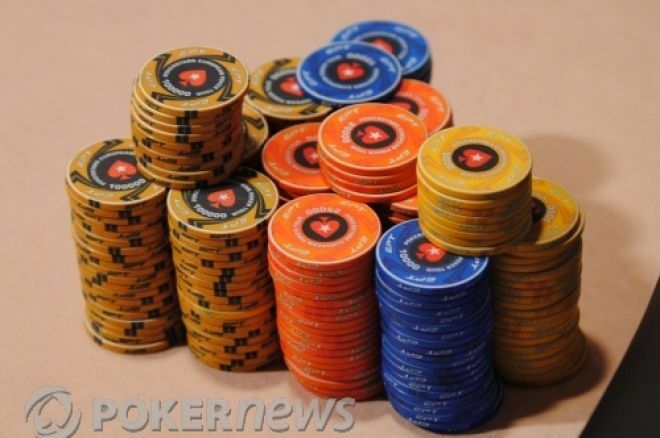 He simultaneously final-tabled the high and medium buy-ins of Event 34, pot-limit Omaha six-max. He took fifth in the medium for $19,350 and emerged victorious in the high for $169,625. Steve "muggylicious" Sung and James "Andy McLEOD" Obst also had nice days. Sung won the high buy-in of Event 36 H.O.R.S.E. for $65,660. Obst finished runner-up for $45,560 and final-tabled the low buy-in as well. The SCOOP ends today so get in on the action before it is too late. Sign up for a PokerStars account today and remember to follow us on Twitter for up-to-the-minute news.